$100 Gift Card to Lowe’s Only $90 at Staples! I’m pretty sure I spend this amount almost every time i go into Lowe’s. If you’re a big “do it yourself” type of person you’re probably the same! From home improvements to yard work and even small repairs Lowe’s has it all! 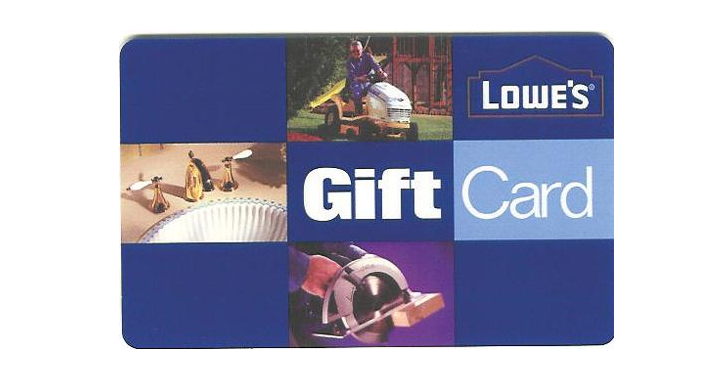 Get a $100 Lowe’s eGift Card for only $90 at Staples right now! Don’t forget you can pair coupons and other offers with gift cards. So if you’re looking to repaint a few rooms you can save with this deal right now.